Reviews of “The House Haunting” by T3! As part of our work… in English, children in T3 read “The House Haunting” to work on creating suspense, excitement and descriptions in our writing. After reading the book, we have been thinking of what we enjoyed and how we thought the book could be improved too. We used the LearnPads to access the school Blog and to leave a comment. Here are some of our suggestions in the comments below. Year 4 have been giggling their socks off in English lessons! In year 4 we have been giggling along to ‘There’s a Viking in my Bed!” and other stories by Jeremy Strong. This adventurous story is fantastic and it’s called ‘There’s a Viking in my bed’. The book is comical and loaded with gripping adjectives. There’s a fool called Sigurd and he’s not a pleasant person either. Now let me tell you more about Sigurd the Viking. He breaks a lot of possessions in the hotel. Also, he does crazy things, for example when he spat out the gravy and devoured every piece of chicken in the dining room of the hotel. Another character in the story is Mrs Tibblethwaite, who was annoyed when she arrived at the hotel after a terrible journey. She is always angry and even more so when she finds Sigurd is in her bed! This story is brilliant as there are masses of humorous parts in it, for instance when there is a food fight. I would recommend this book for children aged 5 and over, and I would give it a star rating of 4 and a half out of 5 because Jeremy Strong has a witty style and a good imagination. The Lost thing by Shaun Tan is a very good book about a very boring guy! However, when he meets ‘The Lost Thing’ his life changes completely. The man (who has no name) is strolling across the beach trying to complete his bottle top collection when he meets The Lost Thing. He takes it every where with him trying to find an owner for The Lost Thing. He walks round every where but he doesn’t find an owner. He takes the Lost Thing to his friend and they do some tests on him but there is no result. Then he takes The Lost Thing home with him but his parents aren’t happy with it. He tries to hide it in the shed but he knows he can’t keep it in there forever. What will happen next where will the lost thing go? The author of “The Lost Thing” is Shaun Tan. One day the main character went to the beach and saw this strange thing lying on the sand. No one else noticed The Lost Thing, but only he did. Shaun opened The Lost Thing’s hatch and shouted “Hello” before The Lost Thing came to life. Then a dusty old ball came out of the hatch and the two characters started playing with the ball – hopping and tripping all day. So The Lost Thing is hidden in the old shed in the back of the garden…. The Series of Unfortunate Events series is written by Lemony Snicket. The bad beginning is an amazing book because it’s a gripping, funny and basically good story! It features three orphans whose parents have perished in a terrible fire. They are sent to live with their uncle, Count Olaf, who treats them badly. He cooks up a scheme to steal the Baudelaire family’s fortune, which is a very large amount of money left in a will by their parents. The story also involves involves his vile theatre troupe who help him complete his evil deeds! Most of you will already of read or at least seen one of the “Diary of a Wimpy Kid” books by Jeff Kinney. I think they are very good and this may start you up on trying one of his books. This book is all about the life of the main character, Greg, and how he goes on a date and goes to the school disco with a ‘girlfriend of his’, Abigail. It turns out very bad for Greg, however, as Rowley (Greg’s friend) gets Abigail to like him more than she like Greg! You can imagine the trouble this causes! As you can imagine Greg gets in a bit of a pickle! I would rate this book 7/10 because even though it is entertaining, it doesn’t have much description. The incredible luck of Alfie Pluck is a book written by Jamie Rix. It’s a really funny book about a boy called Alfie who is very unlucky because he lives with his horrible aunts who treat him like a slave. That is untill he eats a chicken which has the luck gene and becomes incredibly lucky. He is on the run from people who want to consume the luck gene. I would rate this book 8/10 because it is funny and exiting but not my most favourite book ever. My favourite character is Bandit, Alfie’s dog, because he’s cute but he has a big secret! ‘Stinkermite’ is one of many Ali Sparkes’ “Monster Maker” series of books. The characters, Jack and Lewis, continue with their unbelievable ambition to make Touronia, a monster land, in Aunt Thea’s back garden under the standing stone. This adventure includes Timmy (Jack and Lewis’ annoying nephew) who is chased by a terrifying monster. This book is very good and has a fast speed to it, everything happens so quickly and you have to keep up the pace! Overall, I would rate this book 6/10. This is the second book of the Darkest Age trilogy and is written by A.J. Lake. The main characters (Elspeth and Edmund) follow their destiny and defeat Loki, a powerful spirit who lives at the heart of Eigg Loki. Eigg Loki, the mountain, has all the spirits of people that Loki has killed. They encounter wolves and soul eater spirits. 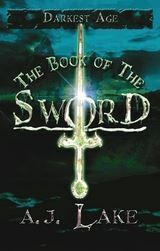 The spirits are filled with awe at seeing Ioneth………… to find out more keep reading!! The only bad thing about this book is the names are hard to remember but I had a picture in my head of everything. I would rate this book 9/10. I am very picky! This is one of the best books I have ever read. This book is an eleven up so when you get to year six grab it before anyone else has got time to put their hands on it! I hope this has enchanted you into reading this book!